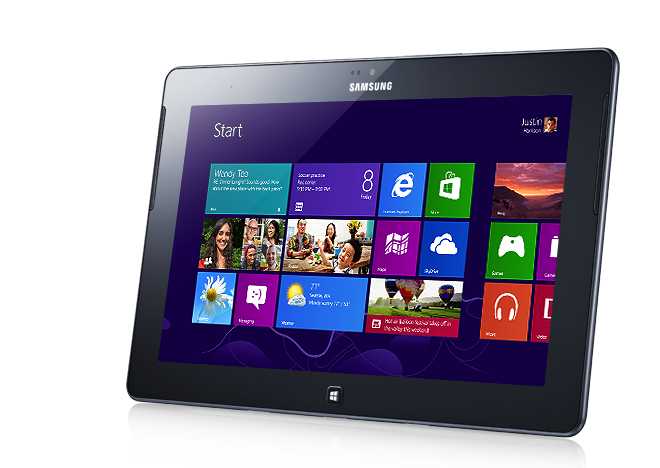 Samsung has opted not to bring its Ativ Tab Windows RT tablet to the US after market research cast doubts on the likelihood of success there. Senior Vice President Mike Abary, who heads up the Korean electronics maker’s US PC and tablet businesses, confirmed to CNET in an interview that the device would not be coming Stateside. The decision comes as a setback to Microsoft, which has invested heavily in getting Windows RT off the ground, beginning with its own Surface tablet. Abary told the publication that Samsung hadn’t managed to find a “very clear positioning” of Windows RT’s place in the market relative to Windows 8. Market research showed that the company would need to conduct “heavy lifting” to educate buyers about the ARM-based platform. “When we added those two things up, the investments necessary to educate the consumer on the difference between RT and Windows 8, plus the modest feedback that we got regarding how successful could this be at retail from our retail partners, we decided maybe we ought to wait,” he told CNET. Samsung hasn’t completely abandoned Windows on ARM, though, as its Ativ Tab website still says that the company “recommends Windows RT”. Microsoft CEO Steve Ballmer highlighted Samsung as one of its key partners earlier this week during Qualcomm’s CES keynote. Abary said that Samsung will watch Windows RT to see how the platform develops over time and consider it down the road. With Microsoft jumping in on the hardware game with its Surface and Surface Pro, it’s only natural that it would ruffle some of the feathers of its partners. Acer has commented that it hopes Microsoft will learn its lesson that building hardware is a tough “meal” to eat. HP has opted out of making a Windows RT device, and Toshiba has also abandoned plans to build a Windows RT tablet. Even as support for Windows RT looks to be flagging, Windows 8 itself may be struggling as well. According to new figures from IDC, worldwide PC shipments were down 6.4 percent in the fourth quarter.